Eric Starks, CEO of FTR, speaks with Marketplaces Sally Herships about the latest merger of two major trucking companies, Swift and Knight. The latest merger of two corporate giants is worth a combined $5.1 billion. The new company, Knight-Swift, will be based in Phoenix, where both companies have their headquarters. 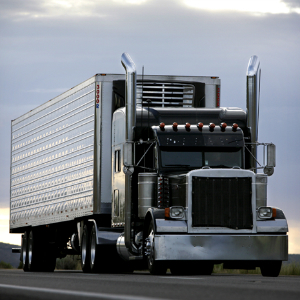 The trucking industry faces challenges, like flat demand from manufacturers, increased costs to meet emissions standards and new tracking systems to enforce legal limits on daily driving hours. This merger helps both companies access a bigger pool of drivers and trucks around the country and in Mexico.